Deep divisions within the Labour party over foundation hospitals have been further exposed in the House of Commons. Doctors have reached a decision on what information should be included in on-line medical records, moving them one step nearer to realisation. 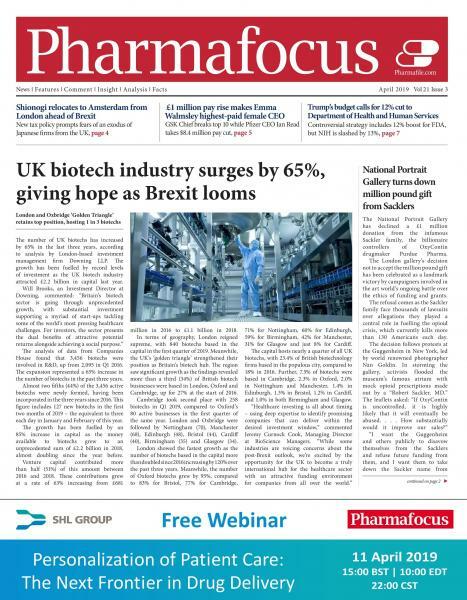 British Biotech has agreed a merger with RiboTargets in what could be the first of several acquisitions. AstraZeneca will work exclusively with Publicis and WPP agencies in the US following a rationalisation of its advertising partnerships. The world largest pension fund has urged GlaxoSmithKline to step up its efforts to help combat the AIDS pandemic in the developing world. The long awaited diabetes national service framework has been launched with demanding new targets for the improvement of NHS services. Kelly Martin, a former senior executive at Merrill Lynch, has been named chief executive of troubled Irish pharmaceutical company Elan.